I don't remember much of the voyage from the Imperial City to Wayrest, as I was learning for the first time that ocean travel makes me woefully seasick. It was a relief when the ship finally entered the waters of the Iliac Bay and we left the great ocean rollers behind. The captain sent me ashore in the ship's longboat. Disembarking, I heaved my belongings onto the jetty and beckoned over an untidy child. With a shiny coin as inducement, the urchin eagerly furnished me with directions into Wayrest. I headed down his "shortcut." The path soon turned from cobbles to mud, and the structures became more precarious and shoddy. Gaunt faces stared out from shadowy slums. I pressed on to the west, cursing that youngster's lies. As the city walls faded into the sea mist, I stumbled into the dreugh's spawning grounds. "Away from the billies!" a man caked in mud yelled from his nearby shack. I scrambled back to safety. "Not too close! Avoid the broodmothers and you'll be safe!" I curbed my temper and sketched these crablike creatures. Retracing my steps, I found the lying rascal and taught him a sharp lesson about misleading travelers. Contrary to local myths about the origins of this base species, the dreugh migrate from the Abecean Sea into the lakes and inlets that feed into the Iliac Bay. 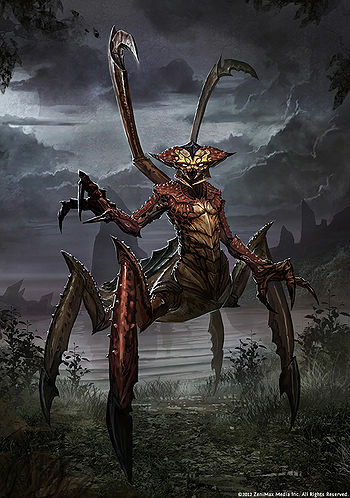 In addition to their mass of clawlike limbs, pincers, and scuttling feet protruding from a human-torso-sized skeletal frame, the dreugh wear armored hides and secrete shell wax that are prized in some quarters. They are aquatic scavengers, spending much of their time in deep ocean water. Local fishermen tell of altercations with this species (such as when the dreugh cut fishermen's nets to steal fish), but dreugh are mostly mild-mannered, except during karvinasim, their period of transformation. During karvinasim, dreugh walk upon the land, favoring shoreline marshes and rivers close to the open water. Hatchlings are closely guarded, and broodmothers are extremely territorial, reacting to invaders with both speed and hostility. This leads credence to the notion that karvinasim heightens the dreugh's martial instincts: Indeed, after witnessing the evisceration of our lead geographer Pulcherius Pomptinus, our raiding party thought twice before capturing and culling further specimens. After a year of land walking, the dreugh return to the water. As they submerge, they undergo a final transformation known as "meff," where they devour their land skin and air organs—the body parts they no longer need—and then vomit the congealed remains as small fibrous balls that are approximately a foot in diameter. These disgusting and foul-smelling spheres are known as "grom" and are found in clusters around lakes. So far, our apothecaries have discovered no virtues in grom, aside from inducing queasiness in some of the more weak-stomached members of this contingent. 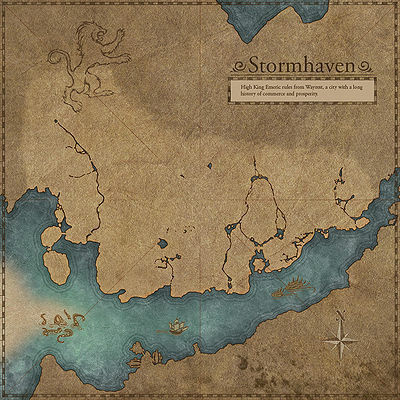 The Province of Stormhaven is comprised of three main regions: Alcaire, Menevia, and Gavaudon. Alcaire lies to the west, where farmers and fishing villages depend upon the favorable weather and bountiful harvests to eke out an existence. Some locals give thanks to Zenithar, but our geographers credit the clement conditions of the Iliac Bay. These western hamlets all swear fealty to the legendary Knights of the Flame of Alcaire Castle, and fables speak of a future ruler born within the castle's ramparts. Menevia is the central region of Stormhaven and is dominated by the sprawling merchant port of Wayrest. This is the seat of the Cumberland merchant clan, whose mining of orichalcum has recently resulted in both great wealth and regional envy. After the largest lode in recorded history was discovered in mines close to Wayrest, the production of orichalcum ore increased to over two tons per month, Emeric Cumberland was thrust into prominence, and he was catapulted to the throne of Wayrest in 2E 563. The second Wayrest dynasty had begun! To the east is the fiefdom of Gavaudon, which offers rich alluvial soil along the flood plains around the mouth of the Bjoulsae River. This attracts a hardy class of frontier farmers who can withstand the more inclement climate. Reports of attacks from intemperate Orc raiders descending from the Wrothgarian Mountains and the occasional disappearances of livestock and laborers (mostly blamed on vampires) have recently subsided, now that the signing of the Daggerfall Covenant has been concluded. I spent some time studying and painting in the Stormhaven countryside -- a charming realm of rolling hills, lush flood plains, rocky outcrops, and copses of ancient woodland. 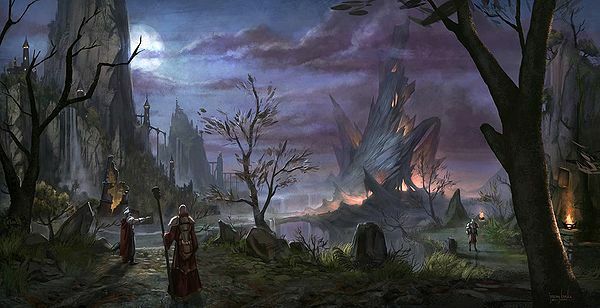 The place would be idyllic were it not for the perpetually unsettled gloom, occasional crackles of thunder, and bolts of Kynareth's rage that arc across the skies. After my unplanned exploration of the slums, I gathered my resolve for my meeting with High King Emeric. Collecting my various credentials, I made my way through the throngs of Wayrest to the palace. My audience with the king -- and request for exploration throughout his province -- was upon me. "Emeric the first, Earl of Cumberland, King of Wayrest, and by the Grace of the Divines, High King of the Daggerfall Covenant. Please step forward and kneel." A hefty-looking bannerman beckoned me forward. Emeric glanced at my letters of introduction and writ of transit and peered down at my prostrate form through eyes edged with crow's feet. He was still a young man, but the wars of his land had left their marks. "So... Flaccus Terentius, is it? You're one of Chancellor Tharn's envoys, are you? Although I find the man... distasteful, he is a powerful force for Cyrodiil. For the moment, at least." He gestured to a Redguard in the regalia of the Lion Guard. "See that no harm comes to this guest. Terentius, you can claim your stipend from the Wayrest Bank. Now, to other matters..."
I was ushered out like a common house servant. Kings! King Emeric of Cumberland can be rightly described as the pinnacle of Breton achievement. His youth wasn't misspent idling in a palace and abusing his servants; he learned his father's trading business, counterbalanced by a regimen of sparring with the Menevia Heavy Dragoons. During the summers, Emeric rode with the Evermore Caravan, testing his mettle against goblins and the hated Reachmen. He was twenty when Durcorach's invaders forced him to retreat behind the sturdy walls of Wayrest with other warrior-merchants. As the heathen Reachmen laid siege, Emeric displayed an aptitude for guile and patience. Convincing King Gardner to utilize Wayrest's merchant ships to carry the elite dragoons along the coast, he led a rear-guard attack on the raiders investing Daggerfall. Charging into the bewildered Reachmen, Emeric sought out Durcorach and cut him down, along with his banner, leaving King Bergamot to complete the rout. A fortnight later, the first Daggerfall Covenant was drawn up, with Wayrest as the capital (a fact the citizens of Daggerfall resent). 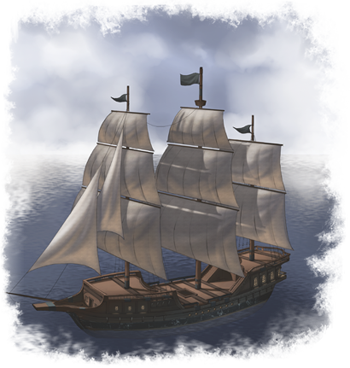 In the eastern Iliac Bay, Wayrest was a burgeoning trading and fishing village during the First Era, where travelers rested between the threat of Orcs to the north and Abecean pirates to the west. It was only after the Orc stronghold of Orsinium was razed in 1E 980 that Wayrest catapulted into prosperity. With the formation of the Masconian Trade Way and more stringent policies against pirates, the Gardner merchant family constructed a walled palace, and granted protection to financial barterers and other traders within the settlement. By 1E 1100, Farangel Gardner declared himself ruler and claimed the immediate lands as his kingdom's. Under his rule, lesser merchants thrived and were welcomed with open arms and forceful protection: This ensured Wayrest's eternal wealth. The recent trade conflicts in the Iliac Bay created a powerful alliance, birthed from recent periods of strife. In 2E 541, a powerful Reachman named Durcorach, the "Black Drake," united the tribes of the Reach and led an invasion that plundered much of High Rock. In fact, it was only at Daggerfall that his advance was finally blunted and turned back toward Skyrim. Realizing how weak their individual realms were, the kings of Daggerfall, Wayrest, Camlorn, Evermore, and Shornhelm swore fealty to the Daggerfall Covenant, promising to act together with swift and brutal might should foreign raiders seek their fertile lands again. At first, Daggerfall was poised to claim a dominant position, but all the while Wayrest was rebuilding stronger than ever, backed by a young and charismatic merchant prince named Emeric Cumberland. In 2E 561, when the largest orichalcum reserves ever seen were struck in the Cumberland mines, close to Wayrest's walls, Daggerfall lost more ground. The canny Emeric used this new wealth wisely, and when the horrific plague of Knahaten Flu slew the entire royal household of the Gardeners, Emeric was the natural choice to assume the throne. The Cumberland dynasty was born. Proficient craftsmen -- second only to the talented artisans of Cyrodiil -- were commissioned to add embellishments to Wayrest's finest buildings. The ongoing strife in Tamriel ensured a continuing demand for armor and blades strengthened by orichalcum. 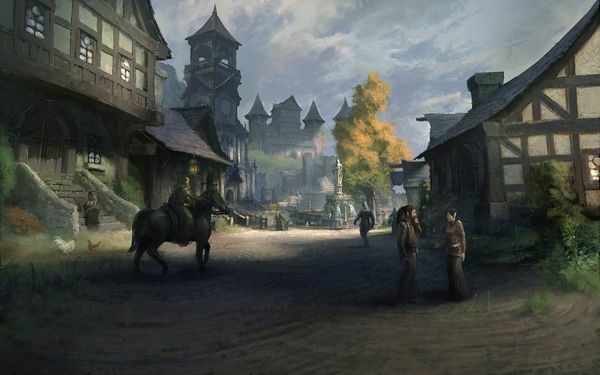 Wayrest's prosperity ensured it would take the lead among the Breton city-states. As I wander in wonder through the great city of Wayrest, it is obvious the grip King Emeric has over his mostly faithful subjects. My Lion Guard chaperones were polite but looked down their pointed noses at me. I drew their standard armor and favored weapons as they goaded me with questions such as "Are you really a traveling writer, or just the least subtle spy we've ever seen?" I smiled at their taunts, but beneath my deferential exterior, I was seething. The Bretons are fractious, martial, and quarrelsome, but multifaceted and potentially dangerous to the Empire. The Bretons are of Nedic stock with a splash of High Elven blood, and this has granted many of them an affinity for magic. The Mages Guild is a formidable force within these parts. Bretons may not stand as proudly as a Nord or Redguard, but they are wiry and resilient. They honor the religion of the Eight Divines, and are nearly as devout as Colovian Imperials. Every Breton has been touched by warfare and violence; is it etched into their buildings and the faces of their elders. Function is valued over refinement, and this can be observed in their earthy, quaint, and hand-crafted structures and in their dowdy, utilitarian attire. The Breton's feudal government, which segments High Rock into city-states, encourages petty nationalism and cross-border violence, which takes a toll on the region's prosperity. Individuals are lumped into specific social strata: the poor peasantry, then a middle class of merchants and artisans, with a confused jumble of nobility and ruling families above them all. Add in autonomous knightly orders, and a small magical elite that considers itself above this general squalor, and you've encapsulated Breton society. But heed this warning: internal quarrels vanish when outside forces threaten their way of life. There have been orders of militant knights in High Rock ever since the Bretons threw off the yoke of the Direnni. 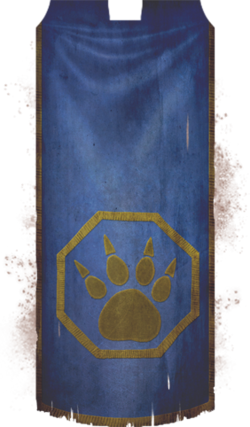 Before the founding of the Daggerfall Covenant, the Lion Guard was one of these autonomous orders, pledging loyalty to all Bretons but governed by none. The order's tenets are simple and unwavering: to fight for the good of all High Rock and every Breton. Although initially these elite guards sought the impossible goal to administer justice and impose peace, they adjusted their role to that of at-need guardians, ready to repel threats whether monstrous, magical, or foreign in nature. Any of the kings could call upon the Lion Guard to bolster their ranks with exceptional fighters. The Lion Guard is extremely popular throughout the land, and though some lords resent their lack of control over the knights and the inferiority of their own troops, they either remain silent or are positively enthusiastic when confronting catastrophe and requesting reinforcements. Most of the Lion Guard approved when the Covenant fused together the regions of High Rock. Many felt this development succeeded in the knight's original mission to reunify the Breton people. So it was not surprising when the Lord General of the Lion Guard pledged fealty to the new alliance. Since then, the Lion Guard has served as the ruler's elite and personal guardians, and has been unwavering in its devotion. Magnus, "the Magus": This god of sorcery withdrew from the creation of the world at the last moment, leaving ethereal remains that mortals control in the form of magic. It is said he lends mages his power. Y'ffre: This "God of the Forest" is still revered by some Breton huntsmen and farmers. Y'ffre transformed himself into the first of the Ehlnofey, known as the "Earth Bones" or laws of nature, ending the uncontrolled transmutations of mortals who then took human-shaped form and understood their role in the world. Sheor, the "Bad Man": Many Bretons fear this god, who is the source of all strife. He is a demonized version of the Nordic Shor or Aldmeri Lorkhan and was born during the dark years after the fall of Saarthal. Phynaster: Many Breton mages who emphasize their tainted Elven blood are proud to worship this hero-god, who taught the Altmer the secrets of naturally elongating their lifespan by shortening their walking stride. Veneration of these entities is expressly forbidden to Imperials, although study of these heretical idols is encouraged, there is a line between analysis and adoration: a line that shall not be crossed. After the bravado and backslapping of the Lion Guard, it was a relief to gain entrance into the Wayrest Cathedral and be at peace for a while. Priestess Gidric informed me that the city's elite worship here, and Emeric's coronation was held under these arched buttresses. I can see why: Although the stone arcade could never be described as breathtaking -- it lacks the overwhelming grandeur of the Imperial City's great cathedral -- it is nevertheless a feat of engineering to be commended. The Bretons really did try their best. As the light from Aetherius poured through the sanctuary glass, I felt the warmth of Mara for the first time since coming to Wayrest and relaxed my weary bones. My final time of rest in Wayrest. It was time to leave Wayrest behind and head north, into deepest High Rock. The Lion Guard offered me a mount, but large animals make me nervous, so I declined. I gathered my provisions and set off afoot, heading up the road towards the city of Shornhelm in the region of Rivenspire. Aside from farms, which gradually gave way to craggy scars and fells, I encountered few dwellings, until I came across the aptly-named Pariah Abbey. Here was a monastery openly devoted to the worship of Azura! Sister Jerique, one of their so-called Spirit Wardens, invited me to a "communion with Moonshadow." I politely refused her advances, although I supped from the sweet beverage she offered. Azura's presence felt strangely comforting, albeit heretical. In need of proper sustenance, I took to the road and found a roadside inn with a roaring hearth and a friendly barkeep. After a goblet of barley wine, I felt a little light-headed, so I embarked on an evening stroll to clear my head. These blasted rural pathways lack proper signage and lighting. The ground turned steep and wooded. Twisted branches brushed my breeches as I found myself in a deep ravine. A buttress of rocks surrounded a glade of gnarled bushes. Dominating this space was an effigy of Vaermina that seemed to have risen out of a nightmare. "Beware, Flaccus Terentius. You trespass in Moonlit Maw." I let out a yelp. But the voice was familiar, soothing. I remembered Jerique's words mentioning the Supernal Dreamers of Vaermina, dangerous cultists active in these parts. Nervous, I asked her for assistance, and she guided me back to the inn. I woke the next morning with the barkeep banging on my door holding breakfast. A black rose was on the table next to me. In the year 563, after the formation of the second Wayrest dynasty, young King Emeric began a search for his bride. His first choice was Rayelle, daughter of King Ranser of Shornhelm, but before the marriage contracts were wrought, Emeric instead married Maraya, Redguard princess of Sentinel. This stunned courtiers across the land, and prompted bards to sing songs of Maraya's bewitching beauty. However, strategists saw the move as strengthening the trade between High Rock and Hammerfell. After Emeric's wedding in 566, High Rock readied itself for a golden age of commerce. Three moons later, it was bracing for a bloody civil war. Rivenspire was known as the backwater of High Rock. Ranser was one of these surly hillmen, a child of the north, known for his bitter temper and brutal rule. Emeric's slight was too much for him to bear. With an army of Northern Tamriel's surliest mercenaries and a host of his own people, he descended from the mountains to cut a bloody swath to the Iliac Bay. Emeric was caught unprepared. It was only the spirited defense of his Lion Guard that saved Wayrest from being razed. Ranser had hoped for a swift victory. Instead, he was forced into a protracted siege. 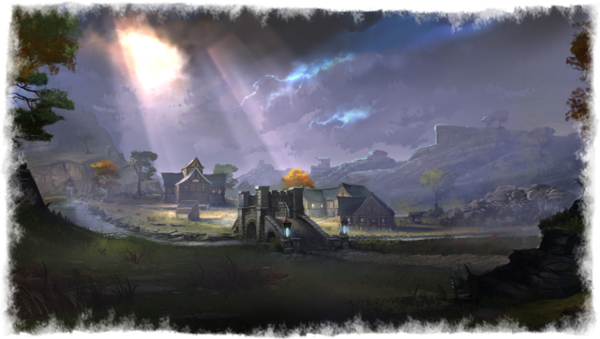 The long siege dragged on into spring, when the Daggerfall Covenant—a mutual defense pact, sworn by all the Breton kingdoms at the conclusion of the Reachmen Invasion—finally paid dividends, drawing Camlorn, Evermore, and Daggerfall into the fray. Some counseled letting Wayrest fall, but trade with the richest city in the region was too important to allow that. Attacked from the city and the surrounding countryside, Ranser's army stood firm; his mercenaries were well paid and prepared for bloodshed. But the crimson sails and battalions of elite Redguard warriors from across the bay turned the tide. Ranser's forces were routed, and Shornhelm was already ablaze when Ranser returned. This was the work of Orcs under the blood-rule of Kurog gro-Bagrakh. Caught between the Breton hammer and the Orcish anvil, Ranser's troops were utterly annihilated in the Battle of Markwasten Moor. Ranser hadn't counted on Emeric's canniness; the King of Wayrest had sent emissaries into the Wrothgar Mountains with a pledge to return Orsinium to the Orcs if they attacked their hated enemy in Shornhelm. Rivenspire was despoiled, and some Orcs remembered how the Bretons of Shornhelm had led the assault that toppled Orsinium some 135 years before. These debts were paid to Shornhelm in full. Ranser's War built the Daggerfall Covenant as it is today: Stormhaven, Rivenspire, and Wrothgar are all indelibly marked by these events. The tortured landscape of Rivenspire is afflicted with a species of feral vampire called Bloodfiends. Fortunately their plague isn't very contagious, or the land would be overrun with them. The barren fells of southern Rivenspire, the jagged and abrupt plateaus and bluffs, and the impassible mountains around Doomcrag (that peak of ill repute) would be difficult terrain for Imperial troops or resupply lines. To the north, these erratic fissures flatten somewhat as they reach the Moors, where hostile beasts lurk behind many a dark and abandoned ruin. Their chaotic landscape seems to have affected the spirits of the local Bretons. Gloomy and laconic, they have little to say to strangers, though they do whisper about the so-called "Bloodfiends," a local species of vampire. Wary and elusive, they are rarely seen. These savage creatures are said to lurk in the shadows of the countryside looking for living creatures from which to siphon blood, slashing victims until the lacerations are severe enough to incapacitate their prey and feed from them. 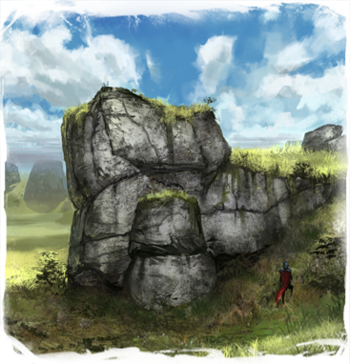 An army might find provisions in the river valley of the Ruined Steppes and Fell's Run, where the ground is more fertile and conducive to farming. Strange rock formations still pierce the landscape, but lakes and rivers are no longer an unusual sight. Along the northern coast, the port of Northpoint appears ill-defended, but the eerie heights of Doomcrag to the west should be avoided. Though the landscape of Rivenspire is dramatic, I found the city of Shornhelm gloomy and dull; after only one night at the inn, I decided to head south for Glenumbra and the city of Daggerfall. A Lion Guard named Mannick Noellaume was detailed to "protect" me. I feigned interest as he explained he was traveling to the great cemetery of Cath Bedraud. Mannick keeps quite a pace, but he soon informed me that we'd crossed the pass into Glenumbra. Suddenly, Mannick dropped to his haunches. "The wolves of Glenumbra prowl these parts," Mannick whispered, drawing his sword and dropping his satchels. "We've already been seen." The first wolf padded out into the path, its hackles standing along the ridge of its back, and jumped for Mannick in a blur of fur. Mannick pivoted, bringing his entire weight behind a massive, two-handed swing, cleaving the wolf in twain. Another wolf leaped from the woods, receiving one of my arrows to its hindquarters before it, too, was cloven apart. "Ha-ha!" I yelled at Mannick. "Two warriors claim sovereignty of this glade!" Puzzled, I spun around as a huge claw whistled past my year. It was attached to a giant wooden arm, part of a strange, lumbering construct made from bark, moss, and evil magic. I stumbled over to Mannick, who caught another of this wooden golem's swings, parried and swung back, biting into the beast's forearm. It took him several minutes to defeat the thing. I did my part, shouting encouragement. "That was a Lurcher," Mannick informed me, panting as I painted the corpse of the strange lumber construct. "These Lurchers started appearing recently in northern and central forests. No one knows why." "Our paths part here." Mannick Noellaume had led me to one of the most venerated sites of his people, and now bade me farewell. I spent the evening putting charcoal to parchment among the mausoleums here, before making camp along the remains of the ancient nobles of High Rock. My next trek - an exhausting slow slog - took me across the gloomy marshes of Hag Fen, fortunately without incident. The Guide's account is mostly accurate and includes a precise depiction of a Hag's home, as well as a frightening depiction of how these warty hermits look. But how could our leading Imperial explorers have traipsed across this Fen and failed to mention the smell? The ancient cemetery of Cath Bedraud is a series of concentric circular bands clustered around a central hill. The reason for its exact location is a mystery to Imperial scholars, but many have been designed to provide direct sunlight onto certain graves on specific high holy days of the Breton calendar. The nobility and royal dynasties of High Rock have buried their dead in ornate mausoleums since time immemorial; the eldest and most prestigious graves are located in the high center. Expect to find members of the Cumberland and Gardner families, as well as many courtiers from King Joile's court. 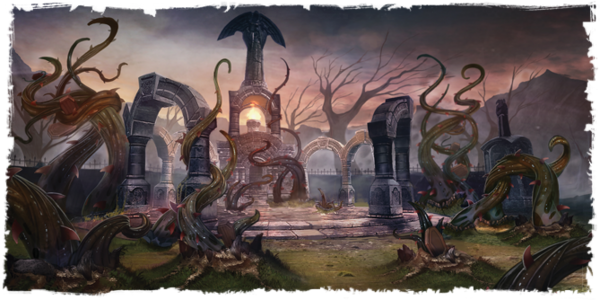 Also beware of the thick and thorny vines that invade this graveyard; chosen members of the Order of Arkay periodically prune these. The central marsh of Glenumbra, known as Hag Fen, is a primal swamp characterized by several unique reeds and mosses as well as gnarled and stunted trees and thick, low foliage. The Fen is inhospitable and difficult to map accurately; Imperial cartographers have complained of the shrouding mists and noxious miasma that emanates from the Fen's stagnant pools. The abundance of interesting plant life and the inaccessible nature of the environment is perhaps why the eponymous Hags reside in such dismal living conditions. The Hags of the Fen are insular, shy creatures and are rarely seen by travelers. Local tavern owners tell stories of hags being the first followers of Y'ffre or feeding off the bones of naughty children, but these old wives' tales are intent to keep unruly kith and kin in line. Legion explorer Amphion Gargilius survived an encounter with a Hag, describing her as a "tall and gaunt wild woman, clad in tattered cloth, with a predisposition for hoarding and tending to the marsh like a farmer might his crops." Hags are powerful and unpleasant to behold. They think nothing of chopping limbs from unwary adventurers (as evidenced by Amphion's missing arm) or burning them with fiery magic. Though their nature is clearly vile and obscene, their origins remain unknown. After almost losing a boot in the fens, I managed to scramble away from the mists and mud into Glenumbra's gargantuan forests. I was busy attempting to light a campfire when I was startled by a woman, clad in green and brown, who admonished, "No fires, outsider. Now follow me." I was escorted into the vale of the Beldama Wyresses. The glade was dominated by the immense Wyrd Tree, a colossal specimen of oak with a branch canopy that covered the firmament. I noticed fires, small wooden huts draped with hanging moss, and tents throughout the vale. The lissome witch spoke softly: "Have some broth. Stay among the watchers of the Green, and mind your manners." For primitives, these witches seem polite and respectful. At least, until I asked to share one of their huts, which resulted in a scowl and a swift refusal. And the elder wyresses seem to look straight through me. But the soup was good, and I propped my head against a wyress's tent and settled down for the night. Sometime later, I woke with a start. The woodland chatter was drowned out by the sounds of rhythmic chanting. The only illumination was from the glow of the Wyrd tree. I'd cricked my neck and felt damp and chilled, so when I noticed the hut door was ajar, I took the open door as an invitation to enter. The Wyrd woman's bed looked comfortable, with its skins and rough linen, but I chose caution over comfort and curled up near the still-warm embers of the hearth. My dreams were fitful. I only remember a rasping voice: "The candle inside your head is lit." 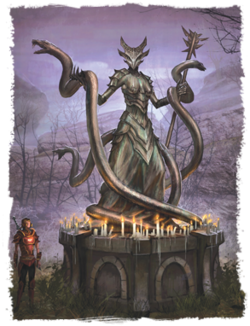 One of the dozen or so known Wyrd covens scattered across Tamriel, the Beldama Wyrd is of especial interest to Imperial researchers. The Beldama are found within the thick forests of central Glenumbra, which are problematic to the explorer due to the broken terrain and heavy vegetation. Precious few have encountered the Beldama Wyresses (another name for a group of ward-sisters, or witches), but those who have speak of dark encampments under the canopy of ancient oak trees and cavorting rituals to honor Jephre, an aspect of Y'ffre, the most venerated god of the Bosmeri deities. The all-female Beldama Wyrd trace their origin to the time Y'ffre transformed himself into the first Ehlnofey (or "Earth Bones") and established the laws of nature. While this is obviously mere myth, the Beldama Wyrd all fiercely believe they are descendants of the Ehlnofey. It is uncertain whether the Wyresses should be considered beneficial or malefic, but all agree they are uncanny and forceful: They see themselves as wardens of the forests with an unwavering reverence for nature. Most Bretons consider them dangerous witches, to be placated rather than revered. It is no wonder, then, that the Beldama Wyrd dwells in the least populated region of High Rock. The Beldama tend to congregate around a mysterious and reputedly gigantic Wyrd Tree, which glows with an unnatural light and looks unlike any other tree in the northern forests of Tamriel. Should the Empire consider an invasion, threats of deforestation might be a way to cow the local population, although the Beldama Wyrd may have unknown magic capable of forestalling incursions. At the edge of the woods, I discovered a turnpike and a weathered sign to Deleyn's Mill. The path wound through the low hills as the sun's heat warmed my bones. With the hamlet in sight, I had stopped to remove a pebble from my boot when I was greeted by a little old man struggling with an enormous haversack. "Buy my wares?" he inquired. I studied the clanking collection of tin pots, dented drinking cups, and other paraphernalia, and stifled a chuckle. "These trinkets are worthless, you old coot!" I exclaimed, perhaps a little too maliciously. "I'd find fancier wares in a pauper's grave! Be off with you!" The peddler stopped his clanging and stood dumbfounded. I hopped past. My boot was half on when I heard a great rattling. I thought the elderly fool had fallen over but turned to see his eyes flash red. He fixed his gaze on mine, stood impossibly tall, and began snarling and thrashing like a madman. It took a moment to realize that he was growing both up and out. Hair sprouted from his form and his rags fell away. As his nose lengthened into a black muzzle and his bones cracked and twisted, I finally started to run. I'd offended a werewolf. I fled in a lung-bursting sprint, abandoning my untied boot in a ditch as I felt hot breath scorching my neck. I dared to glance behind and saw the beast stop, pick up a fallen flagon, and continue. I thanked all Eight Divines (in order) as I neared the Deleyn's Mill guards and the werewolf came within archery range. He roared and bolted for the fields - still carrying his haversack - as I collapsed by a member of the town watch. Had that tinker not been so attached to his wares… well, the outcome doesn't bear thinking about. Whether you're stationed at a garrison at Camlorn or suffering Nord inhospitality in Skyrim, an Imperial subject must know the signs of the terrible affliction of Lycanthropy. With attacks by creatures infected with Sanies Lupinus on the rise, it is your duty to learn the following and behave accordingly. Is there an overabundance of canis root in casks and market stalls? Have you witnessed the locals rubbing this root on neighboring trees and fences? Have you followed strange animal tracks, only to find them disappear? Do the village temples house beggars with vivid nightmares or with deep claw wounds to their faces or bodies? Does the wolf howl when there are none to be found? Then werewolves (or worse still, werebears) may be active in your jurisdiction. 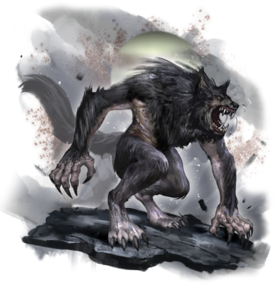 Werewolves are sturdy hybrids with powerful jaws and claws on both hands and feet. They stand three hands taller than an Orc and exhibit severe bloodlust. If you encounter one, attempt to flee at all costs unless you feel supremely confident in your arms and armor. 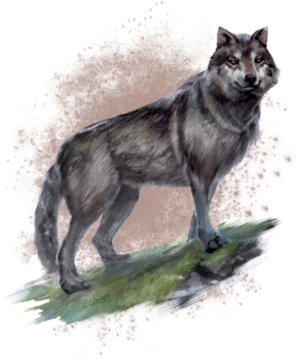 If possible, thrust the indigenous population into the path of the lycanthrope, so it sates its appetite on them while you retreat to cover or your mount. If you must fight a werewolf, arm yourself with any silver weapon, as these have proven extremely effective. However, prepare for severe gash wounds and the possibility of becoming infected. Should this occur, report to your superior for final rites to Arkay and immediate execution. I retrieved my boot and retired to the local tavern. A freckle-faced wench had only just served my sausages when she gasped and pointed at my writing quill and grinned a toothy smile. "That's a harpy feather!" she shrilled. "Yes," I responded. "The nib is particularly durable and enables prolonged writing between ink dips." "You must have got it at Shrieking Scar!" she said, and began asking questions about a harpy queen named Foulwing. So the next morning I decided to detour from the direct route to Daggerfall to observe these fanciful creatures. I followed the wench's directions, and an hour later I was among the nests in Shrieking Scar. Harpies there were, in plenty. I hid in a bush and quickly sketched a vigorous specimen in all her immodesty. Do not let their humanlike form fool you: These creatures lack even the rudiments of civilization. I watched them vomit up gruel to feed their young, and quarrel with each other with loud shrieks and razor talons. I returned with three feathers I'd picked up, and a newfound respect for my quill merchant. While the harpy's origins and mating habits are not well understood (and indeed, are the subject of hotly disputed debates among the sages of the Imperial City), these base creatures seem to be related to birds. Just what originally spawned these violent, ill-tempered abominations is open for debate, although the festival of Riglametha (celebrated across Hammerfell) portrays harpies as women who had ancient union with crows. Harpies are quite dangerous to the unwary traveler. Their nests have been spotted all across western Tamriel, wherever there are cliffs and crags. When disturbed, mating, or challenged, they communicate using a series of warning shrieks and warbles. Indeed, they seem intelligent enough to speak a rudimentary language, sometimes loudly amplified by small wattles beneath their chins. In terms of biological functions, harpies' mirror those of common birds; they craft nests (a cluster of rocks, arranged branches, moss, leaves, and regurgitated spittle), lay eggs, and bring back food for their young. They huddle together in simple matriarchal societies, crowding around and venerating the oldest or most powerful of the fold. They feast off flesh and care not about the type or quality, whether it be a freshly slain deer or traveling merchant or week-old carrion. They are fiercely territorial, and attack using infected claws, favoring scraping attacks to the face. Elder harpies have been known to employ magic. My trek to Daggerfall was instigated because the Imperial entry was supposedly inaccurate. How strange; this history seems spot-on. The royal house of Deleyn is central to the recent history of the city of Daggerfall. The royal line of Deleyns traces its lineage back to King Donel, who ruled the city-state from 2E 342 to 401. His sister Genevieve married Serge, who was of Northmoor's Adlam Mining Conglomerate, and King Donel wed Lady Sylvie Garclay of Aldcroft in Glenumbra. These two unions strengthened the House. The title was passed down from son (Anton I) to daughter (Donella) to son (Anton II) before King Bergamot (Anton II's nephew and only surviving heir) took the throne in 2E 515. Bergamot played a pivotal role with Emeric in clearing Daggerfall of Reachmen during Durcorach's uprising, after which he signed the first Daggerfall Covenant. He died in the subsequent Knahaten Flu epidemic. King Folbert the Wide was next in line, aiding Wayrest during Ranser's War and becoming instrumental to the wider Daggerfall Covenant of 567. Folbert believes Wayrest's current pre-eminence a matter of mere luck. Should Wayrest overextend itself, Folbert is certain to seize the opportunity to return Daggerfall to the forefront in High Rock. After perusing the nearby Fighter's Guild, sketching a Breton fountain, and being refused entry into Castle Daggerfall, I spent an afternoon painting the impressive mosaic of the Mages Guildhall from the second floor of the structure. I must admit to some degree of wonderment; this Guildhall is nearly as elegant and refined as those of the Imperial City! My admiration was tempered by an argument with the Incunabulist, who failed to acknowledge my Imperial scholarship put me in better standing than his somewhat parochial education. That arrogant little librarian should know his place! The hearth was aglow and crackling. Tavernkeeper Gregoire Lafont had expedited my roasted ox haunch and all the trimmings just as I'd dabbed the final paint on my tableaus of the Rosy Lion inn. As I tucked into this succulent feast and ordered another mead, a broad-shouldered Redguard sat down next to me. "What a splendid picture," he remarked with a smile, then added, "What's your poison?" "Mead, thank you," I replied. "I didn't catch your name." "Uwafa. From Sentinel. My master is looking for a decorator. You're perfect for his needs." I was still chewing. "One thousand apologies! Where are my manners. Eat your dinner. I'll be over by the fire." I was intrigued. Many of these Redguards were merchants with gold to spare, and I'd need every last coin for my upcoming nuptials. After cleaning my plate, I left out a healthy belch, joined Uwafa and asked about the possible employment. "I could spare a few days from my travels... My, this mead is bitter. So why not use local craftsmen?" Uwafa grinned. "Because my master wants an Imperial." Uwafa was watching me intently and suddenly leaned forward. "Flaccus, can you follow my finger for a moment?" I felt a little dazed. Sparkles of strange light blurred my vision. I nodded as Uwafa waved his clawed gauntlet before me. "Good," I remembered him saying. "Follow me outside." My next memories are a blur of dark shapes and colors - muddy black alleys, the seedy underbelly of Daggerfall. I was swaying as I walked, and rather talkative. That beastly Uwafa had obviously administered some dark narcotic. I think I heard him say something like "Prepare for the Mark of the Worm." Yes, that was it. He wasn't friendly anymore. I was being bundled onto a cart? Yes, I was, and I remembered tripping over a dog. I bent down to pet him; I must have been completely befuddled. The hound growled at Uwafa and lunged at him. I sat down and watched the dog bite the cutlist, while the commotion attracted the Daggerfall Watch. I heard shouts of "Heel!" as the treacherous Uwafa ran off. I owe that dog my life. Eternal slumber was once taken for granted. But now, necromancy has appeared in numerous locations across Tamriel. Anonymous spies have pinpointed the Cult of the Black Worm as the insidious force responsible. This sect, once hidden from view, is spreading, and offers the weak-willed what seems a guaranteed rise to power. Its chief opposition is the Mages Guild, but with the Guild in disgrace in Cyrodiil and banished from the Imperial City, the Order of the Black Worm seems ascendant. Hidden cells of these necromancers are called Worm Nests, led by a priest of undeath who takes the mantle of Worm Anchorite. Such priests may even have converted to undead form, after which they're called Worm Eremites. They are never apart from undead protectors, either summoned or reanimated. 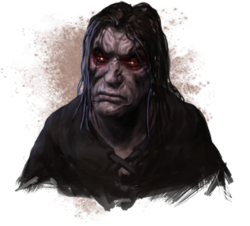 The leader of this cult is the Altmer mage Mannimarco, whose name is never spoken aloud by the cultists; he is instead invoked (with a whisper) as the King of Worms. No more must be written about him; his tendrils of power and influence snake far and wide. This page was last modified on 22 June 2018, at 04:20.